Sugar flowers are making a major comeback in cake decorating with leading designers such as Maggie Austin, Peggy Porschen, Jacqueline Butler of Petal Sweet and Amy Swann (cakes featured above) incorporating beautiful old style flowers such as peonies, David Austin Roses, ranuncula, hydrangea and lots of botanical garden flowers in their designs. We’ve put together a selection of sugar flower tutorials available online to help you on your way to sugar flower mastery. 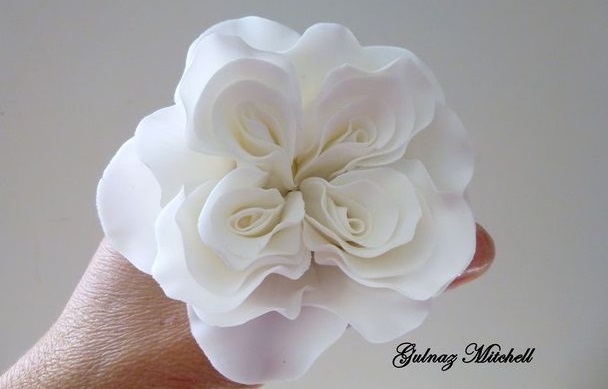 First up is our own gumpaste peony tutorial featured below, the first in our brand new series of Sugar Flower Tutorials for Beginners. 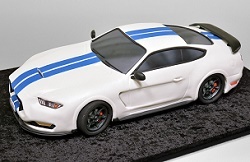 Stay tuned for more in the weeks to come! 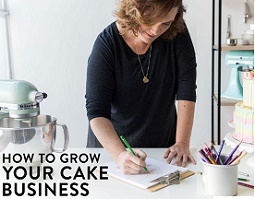 For more on peonies, check out Happy Cakes by Renee’s open peony tutorial here. Below left is the completed rose from the David Austin rose tutorial (the Queen of Denmark variety) by the wonderful TortenTante, inspired by the work of Alan Dunn. 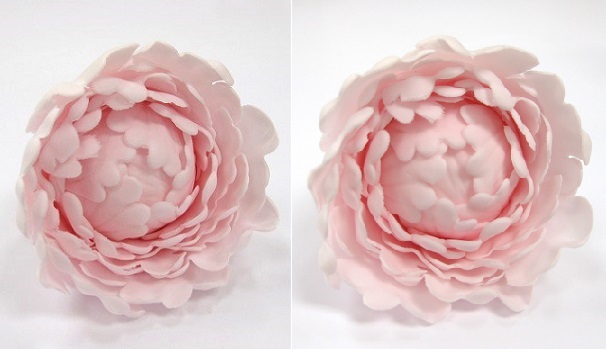 Featured on the right is another beautiful sugar flower creation from Tortentante – a powder pink peony rose. We have another hybrid of the peony rose, this time a white “fluffy” variety (below left) and the accompanying tutorial from Tortentante: white peony rose tutorial (fluffy open peony rose). For more on sugar peonies, see our Peony Wedding Cakes & Special Occasion Cakes feature. The exquisite powder blue sugar rose below with beautifully curled petals is by The Neurotic Baker where you will find their excellent tutorial for this rose: sugar rose tutorial. 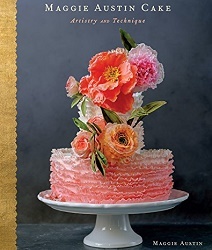 Shawna McGreevy of McGreevy Cakes also has a great rose tutorial here: classic rose tutorial. Learn how to create this exquisite English Rose below with sugar flower master artist, Naomi Yamamoto in our extract from her book, Sugar Flowers – The Signature Collection: Gumpaste English Rose Tutorial. (Advertisement: PetalSweet’s Jacqueline Butler’s tutorials for gumpaste sweet pea, freesia, cosmos, lavender and lilac are now available on Craftsy here: Jacqueline Butler/Petalsweet Sugar Flower Tutorials. 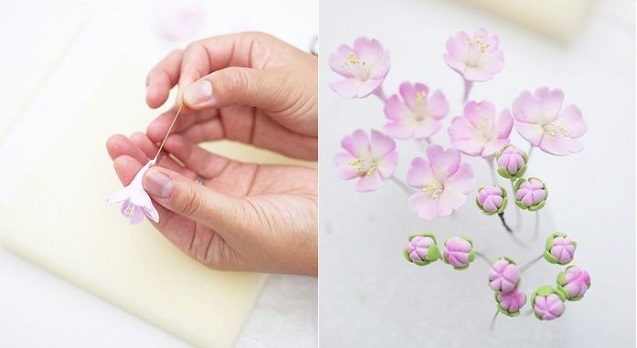 For a beautiful cherry blossom tutorial including how to make realistic branches, you ‘ll find instructions here from DK Designs (via the Amy Atlas blog): cherry blossom and gumpaste branch tutorial. You also find another tutorial plus lots of design inspiration in our Cherry Blossom Cakes feature Gulnaz Mitchell of Heavenlycakes4you has created a tutorial for the beautiful white David Austen rose below, or cabbage rose to which they are sometimes referred (no longer available free but can be purchased via Facebook here: David Austen rose tutorial/cabbage rose tutorial.) 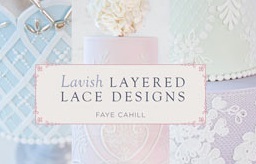 Kara Buntin of A Cake To Remember also has a fabulous and free David Austin rose tutorial here. 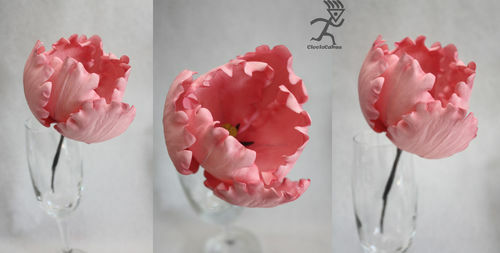 The beautiful pink parrot tulip below is by Ciccio Cakes, with a tutorial available here: parrot tulip tutorial. You’ll find another parrot tulip tutorial, plus other varieties of tulip, here from Kaye Hartman of Petal Crafts: Holland , Turkish and parrot tulip tutorials. 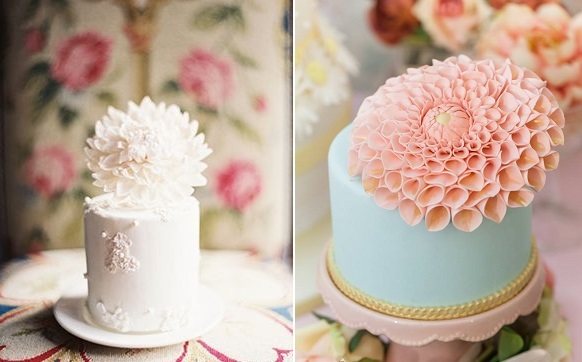 Cottage garden style dahlias are one of the most popular sugar flower trends of the moment with two fabulous examples below by Maggie Austin Cake (left) and Nana E Nana Cakes (right). To make your own sugar dahlias, check out our quick & easy Gumpaste Dahlia Tutorial here. For more inspo, see our Dahlia Cakes feature. Sweet peas make a beautiful, delicate cake decoration and are easy to create as Sweet As Sugar Cakes demonstrate in the picture below. You’ll find further tutorial here by Kingfisher Cake Design, as well as an Elaine McGregor sweet pea tutorial here. 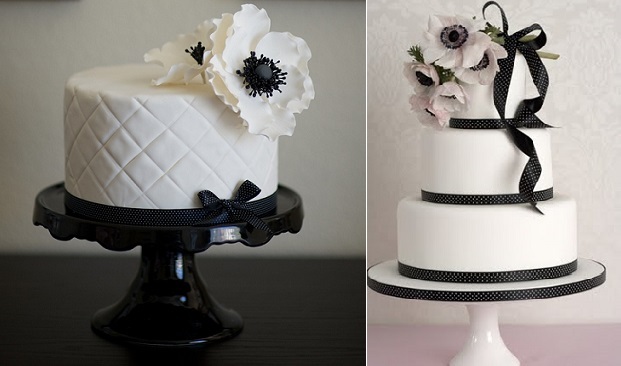 Anemones make a chic, romantic wedding cake decoration with a beautiful soft pink cake top posy with trailing ribbon below right (image by Michael Muramoto) and another beautiful anemone decorated cake below left, quilted and in black and white – Chanel style (image via Juxtapost). 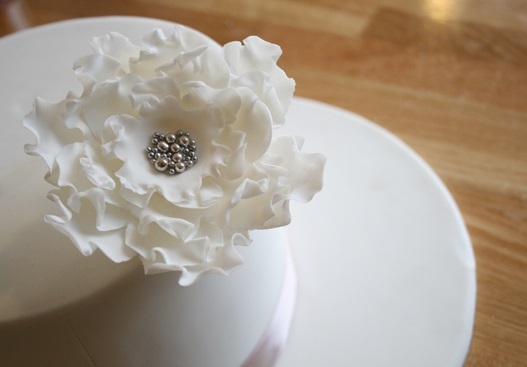 Kaysie Lackey of The People’s Cake has put together an excellent tutorial here, showing you how to make a sugar anemone. 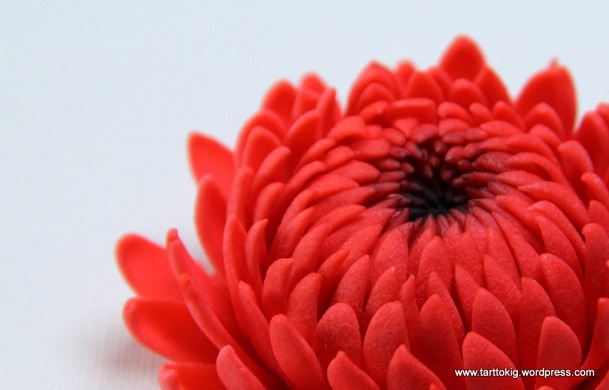 Tarttokig have made a great tutorial for the gerbera daisy below which you’ll find here: gerbera daisy tutorial. Freesias are a wonderfully versatile sugar flower for cake decorating – great as a feature flower or filler flower and create a beautiful trailing or overhanging effect with their long, curved stems. You’ll find a tutorial here for the pale yellow freesia below by Dusky Rose Veiners: freesia sugar flower tutorial. 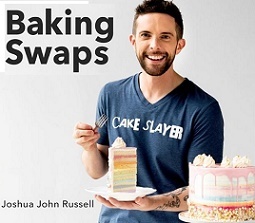 Plus check our our Freesia Wedding Cakes for Spring feature here. Leading sugar flower expert, Jacqueline Butler of Petal Sweet in the US has made one of her much sought-after sugar flower tutorials available for free which you’ll find here: hydrangea sugar flower tutorial. 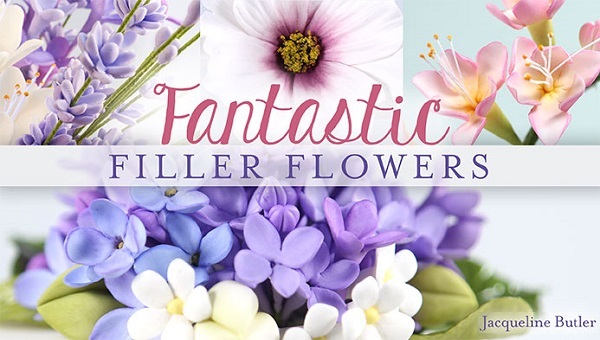 You’ll also find Jacqueline’s fabulous flower bud tutorials here. These flower buds make exquisite little filler flowers to fill in spaces in your sugar flower arrangement and give a beautiful botanical touch to your cake decorating. 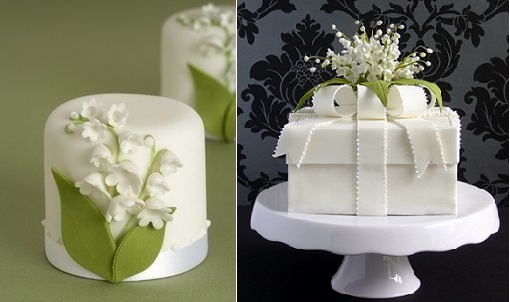 Beautiful cakes adorned with fresh white lily-of-the-valley below by Pamela McCaffrey of Made With Love Cakes (below right) and via Pinterest (below left). We also have a lily of the valley sugar flower tutorial here by Jennifer Okanay of Heart Song Cakes & Crafts. (For more cake inspiration, check out our Lily of the Valley Wedding Cakes feature here.) Ranuncula flowers are hugely popular for bridal bouquets this summer and with a bit of practice you can create sugar ranuncula like the beautiful example below from Floralilie. The key to making gumpaste ranuncula is to roll the petals super thin/wafer thin and to use a veiner to imprint some delicate texturing. 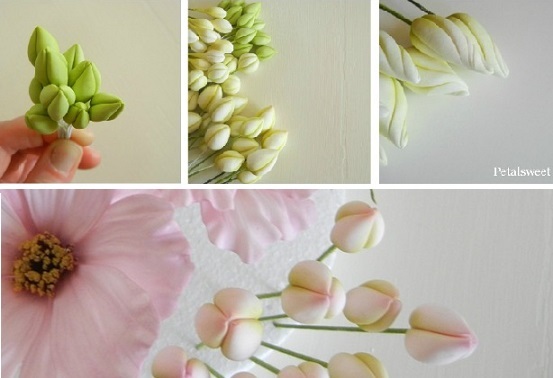 You’ll find Floralilie’s ranuncula tutorial here (it’s an English translation of the original German tutorial). 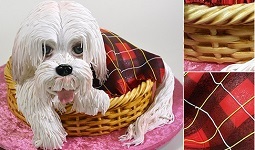 You’ll find more ranuncula tutorials here from: Sweet Little Morsels, Tarttokig and Anna Craig of Sweet On You Cakes. 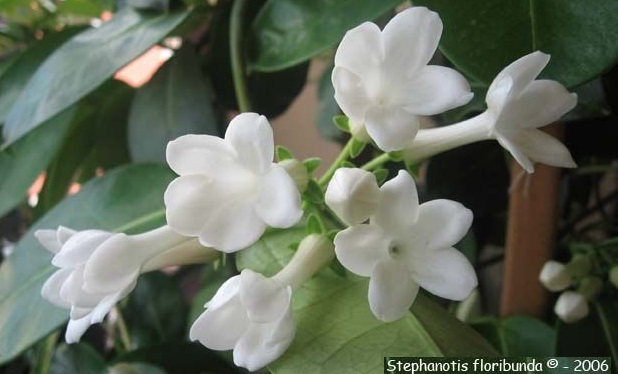 Pristine white stephanotis flowers (below) make one of the most beautiful and delicate sugar flowers for cake decorating, and you’ll find a tutorial for this beautiful flower here: stephanotis sugar flower tutorial/filler flower tutorial. 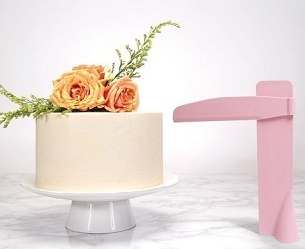 Miso Bakes created the fabulous Spring fresh wedding cake design below and you’ll find the tutorial for the beautiful white gardenia flowers here via Cake Central: gardenia sugar flower tutorial. Below, we have a beautiful floral corsage with a jewelled centre created with silver dragees, perfect for a vintage style wedding cake. You’ll find the tutorial here from Polka Dot Bride: floral corsage tutorial. Below, tiger lilies from Bobbie’s Baking Blog, plus the tutorial: tiger lily sugar flower tutorial/ oriental lily sugar flower tutorial. 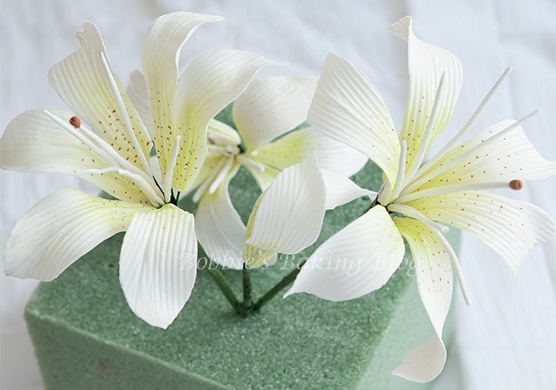 And we have a second sugar lily tutorial here from Sugarcraft.com. White orchids are an ever popular choice for bridal bouquets and to create matching white sugar orchids for the cake, you’ll find a tutorial here from Dusky Rose Veiners: phalaenopsis orchid sugar flower tutorial/ moth orchid tutorial. 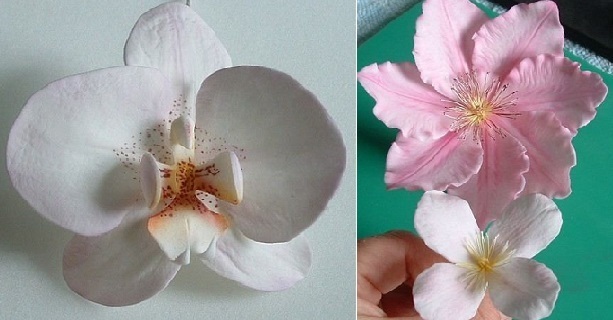 You’ll find a tutorial for the cymbidium orchid variety from Petal Crafts here: cymbidium orchid sugar flower tutorial. The beautiful pink and white clematis sugar flower below is by Dusky Rose Veiners, with the accompanying tutorial here: clematis sugar flower tutorial. Below left, we have elegant cala lillies again from Dusky Rose Veiners with tutorial: cala lily sugar flower tutorial/arum lily tutorial. 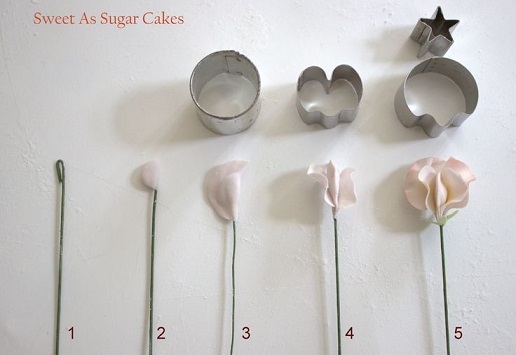 Bella Cupcakes, New Zealand have created a tutorial for their pretty and very versatile sugar blossom, below right: simple sugar flower tutorial. Below left, we have some pretty cottage garden style pansies from Bobbie’s Baking Blog, where you’ll find the tutorial: pansy sugar flower tutorial. You’ll also find a picture tutorial for super, simple pansy blossoms here from De Leukste Taarten: simple pansy sugar blossom tutorial. The beautiful selection of English country roses (below right) were created by Cakeage with a helpful tutorial here: large sugar rose tutorial. 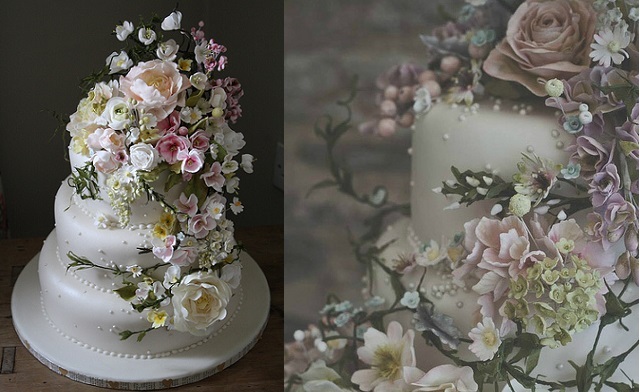 Two of the world’s leading sugar flower artists’ work below – Sweden’s Lina Veber Cake below left with a beautiful lavender shade peony and on the right, some fabulous sugar lilac by Jacqueline Butler of PetalSweet. Lilac flowers are one of the hottest trends in cake decorating at the moment (see the beautiful Lina Veber cake with lilac in our recent feature on Beaded Cake Designs – Pearl Beading). 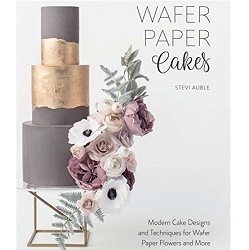 Happy Cake by Renee has put together a beautiful tutorial here: gumpaste lilac tutorial so you can get in on this summer’s wedding cake trend. More fabulous lilac blossoms by the UK’s Hilary Rose Cupcakes. 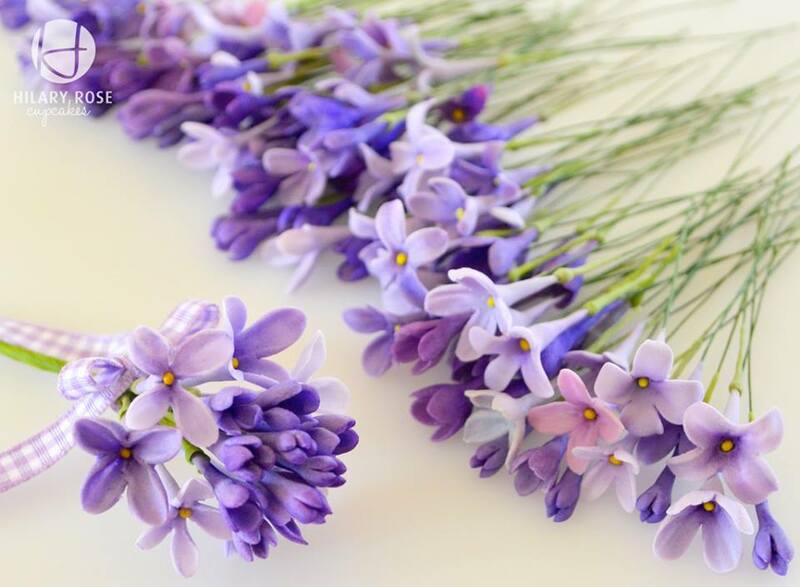 Pretty lavender stems are created using a simple mini flower cutter, below (image via Pinterest, uncredited). 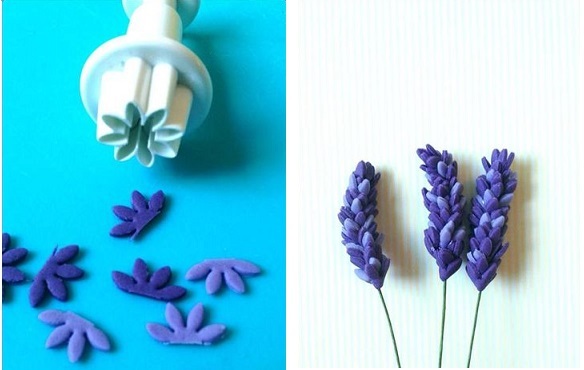 You’ll find a full gumpaste lavender tutorial here from Siobhan Buckley Sugar Art. Frilly carnations are a wonderful sugar flower for cake decorating, especially wedding cakes, and are often overlooked by sugarcrafters. We have an excellent tutorial from Dusky Rose Veiners – carnation sugar flower tutorial, plus a tutorial for the very striking hibiscus sugar flower on the right in a beautiful burnt orange – hibiscus sugar flower tutorial. 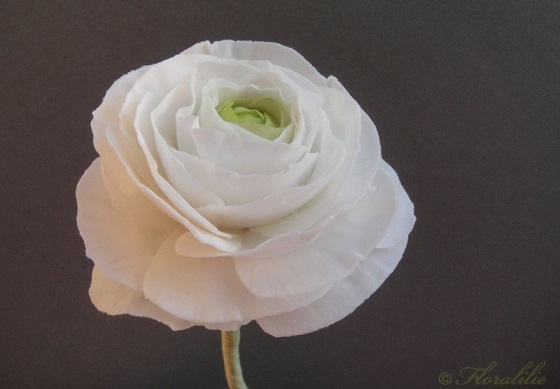 You’ll also find another carnation tutorial here from Elaine McGregor. 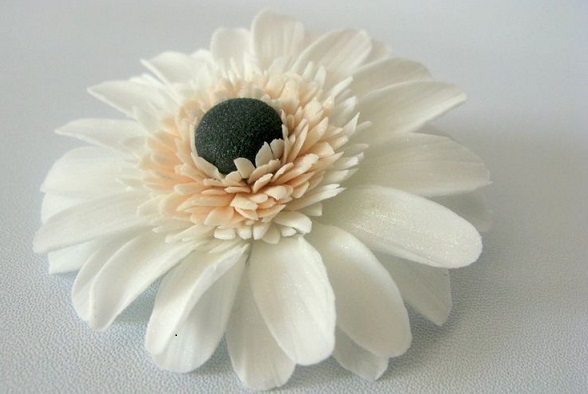 Below, we have a terrific chrysanthemum sugar flower tutorial again from Tarttokig. The classic red poppy below is from a tutorial by the Cake Journal which you’ll find here: poppy sugar flower tutorial. Cake Journal also have a tutorial for a great little poppy cupcake topper here: poppy cupcake topper tutorial. 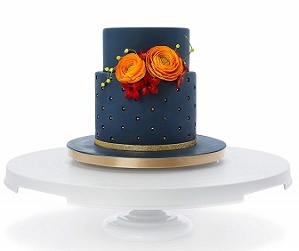 And for a beautiful blue poppy tutorial, check out Helenna Manilla’s blog on Clearly Cake. The fabulous old style yellow dahlia below right is by Tortentante with the accompanying tutorial here: dahlia sugar flower tutorial. 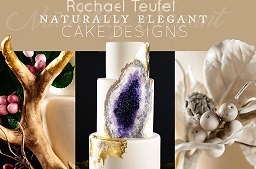 Join the Cake Geek Magazine Facebook Page here for more on cake design trends and updates. 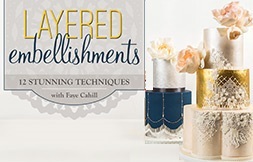 Advertisements: Just released on Craftsy – Raewyn Read’s Sugar Flowers Essentials class. 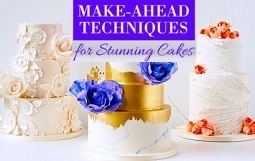 Learn key techniques right from the very start with this excellent sugar flower primer with three stunning floral wedding cakes to create. 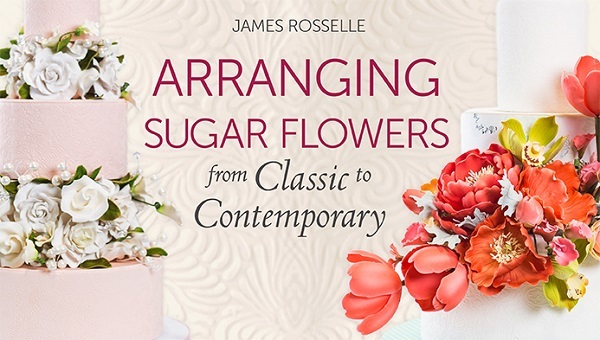 Plus learn the art of sugar flower arranging on with sugar flower expert, James Rosselle on Craftsy – Arranging Sugar Flowers: From Classic to Contemporary with James Rosselle. 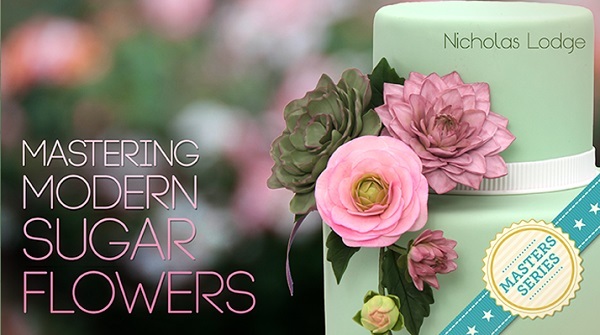 For even more in-depth instruction in sugar flowers to take your creations to competition level, Craftsy has a selection of sugar flower classes from three of the world’s leading sugar flower instructors – Alan Dunn, Nicholas Lodge and James Rosselle. 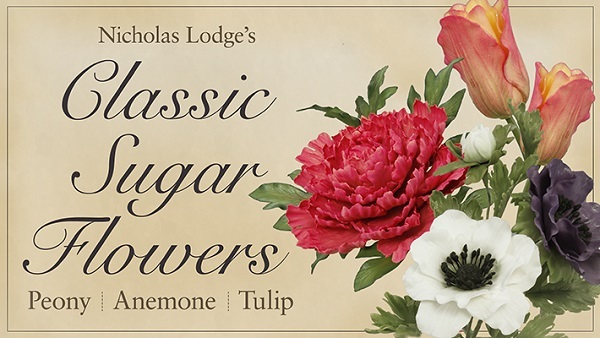 French tulips, the garden peony and the ever-stylish anemone are the three classic sugar flowers covered in Nicholas Lodge’s masterclass below. 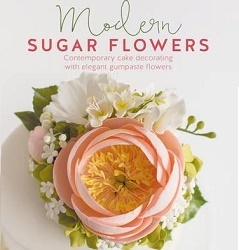 For more details see: Classic Sugar Flowers. 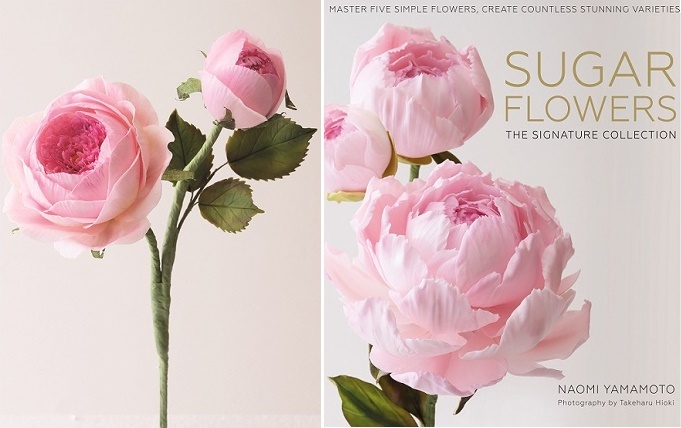 Three different styles of ranuncula, three different dahlias (the classic dahlia, the pompom dahlia and the spider dahlia), plus several varieties of succulent are covered in Nicholas Lodge’s, Mastering Modern Sugar Flowers class below. 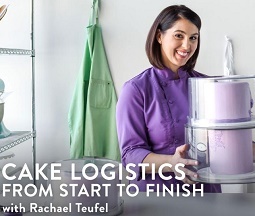 In-depth advice is also given on pricing your sugar flowers. You’ll find more information on this class here: Mastering Modern Sugar Flowers with Nicholas Lodge The exquisite magnolia flower below as well as the dogwood rose are covered in the Southern Sugar Flowers class by the acclaimed, Maggie Austin on Craftsy. 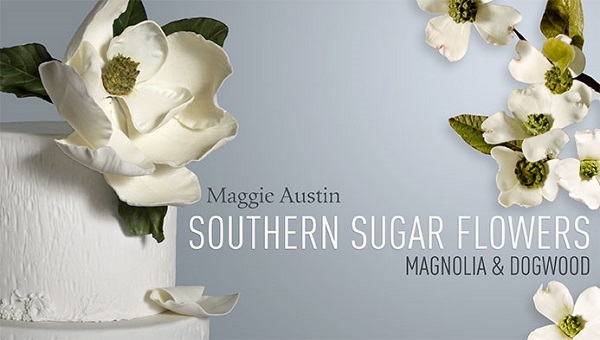 Check out the details here: Maggie Austin Southern Sugar Flowers – Magnolia & Dogwood.